TARDIS, that town can be anywhere at any time. possibilities when we remain open to them. circumstances, and expecially when he seems to violate it. Joshua. It's from the Bible. It means 'the Deliverer.'" "No he isn't," the doctor replies. "I speak horse. He's called Susan. And he wants you to respect his life choices." The doctor drags Jex to the edge of town, despite Amy's protest. of other persons, differently, impersonally." about justice," according to McGrath. in the introduction to Dr. Who and Philosophy: Bigger on the Inside. 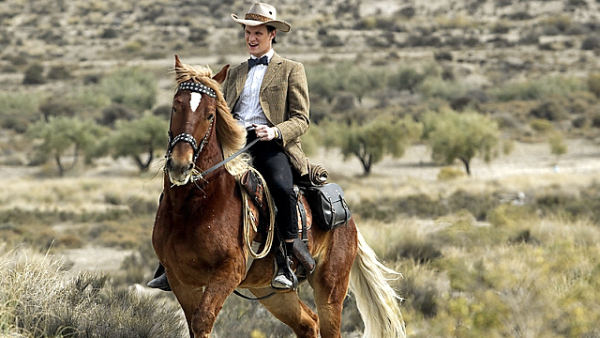 In "A Town Called Mercy," Matt Smith as Dr. Who dons a Stetson hat and trades his TARDIS for a horse named Susan. 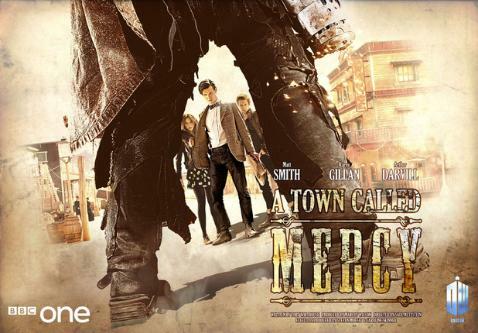 episode, "A Town Called Mercy."